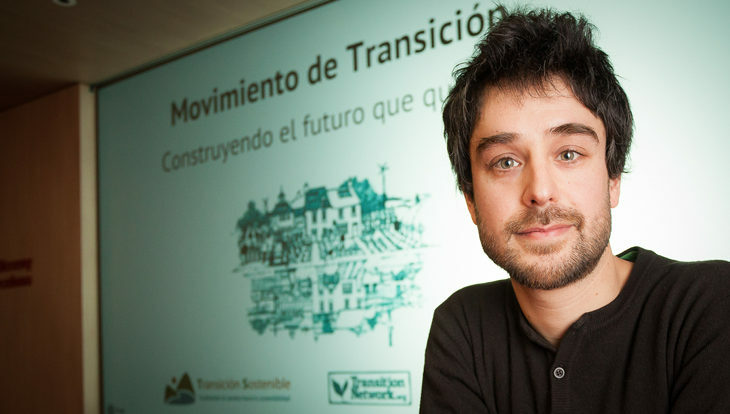 Juan del Río is a Transition Trainer and coordinator of Red de Transición (Transition Spain). 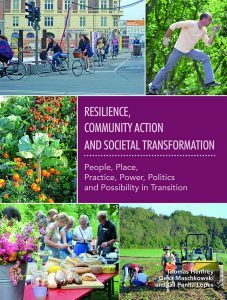 He co-authored the chapter “Transition in Spain: A First Assessment of Dimensions, Challenges and Opportunities for Transition Town Initiatives”. Since 2008 I have been working to develop community projects around sustainable living, local resilience and systems change. I have worked in several countries and with different organisations as a trainer, facilitator, designer, writer and researcher. 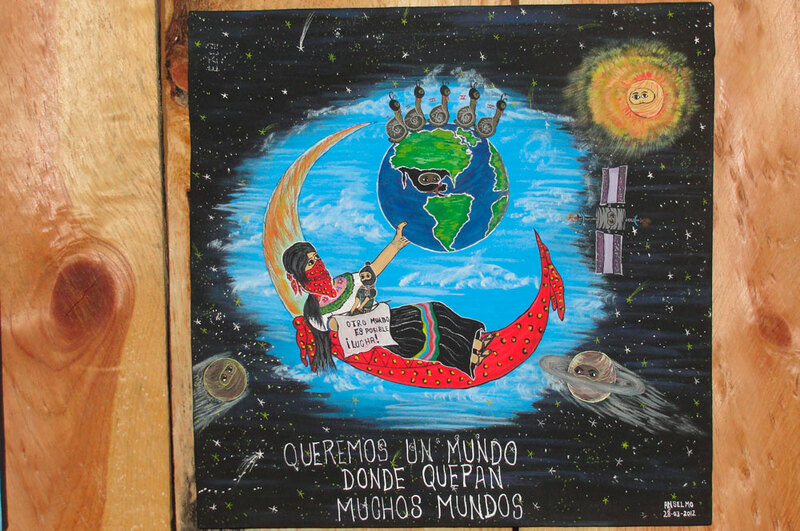 Since 2012 I have been coordinating Red de Transición and in 2015 I published “Guía del Movimiento de Transición”, the first book about the Transition Movement in Spanish. Recently I have worked with SwitchMed, a European Project on Sustainable Consumption and Production in the Mediterranean countries, and with Smart CSOs, promoting Systems Change within CSOs across Europe. Currently I am also co-developing the Municipalities in Transition Project to promote transition at the municipal scale by building bridges between local initiatives and municipalities. What is your understanding of resilience? We are crossing many socioecological thresholds (climate change, peak oil, biodiversity loss, increase of inequality, etc.) that will not let us continue with a socioeconomic model based on GDP growth and exponential resource depletion. The complex world we live in is changing and uncertainty is huge. In this context transforming the way we organise, produce and consume is vital and it needs to happen in the direction of a more human scale adapted to each place. We need to build local resilience and to redesign our communities in order to be able to adapt to the changes we are already facing while reconnecting among ourselves and with the planet. Moving towards more local economies based on wellbeing, a higher degree of self-sufficiency, redundancy and decentralisation, and more participatory and democratic structures should be key aspects of the new resilient cities and towns. 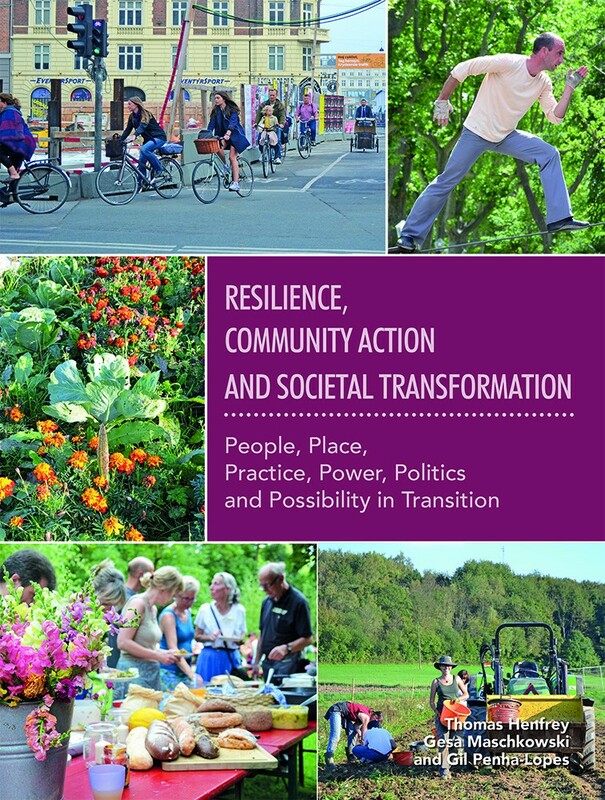 How can Transition Initiatives contribute to systemic change? If we want to foster systemic change and work with a long-term perspective, we need to focus on the root causes, not on the symptoms. This is easy to say but not to do. Behind the industrial growth society that has brought us to this point are a large set of rooted assumptions and values that frame our culture, and among these anthropocentrism, ethnocentrism and androcentrism loom large. We need to transform this paradigm, and local Transition Initiatives are doing this by explaining and experimenting with a new story of possibility, by showing that we can do things in a different way; by working creatively in many different important areas such as food, energy, education and economy; and by supporting each other and caring for the planet. What are the biggest challenges for Transition Initiatives in Spain right now? Transition Initiatives are formed by people like you and I that want to transform their communities. This can be sometimes overwhelming, as there is too much to do and not much time. In this context Initiatives face many different challenges (also seen as opportunities), some shared by all Initiatives, other more specific. We can summarize these as three big challenges. The first challenge relates to the difficulty of finding the necessary resources (finance, land, etc.) to develop the projects and employ people if necessary. Resources are there but are not easily accessible. This situation is aggravated by the economic crisis, increasing inequality and unemployment. At the same time building bridges between local authorities and municipalities with local transition initiates is part of this challenge. The second has to do with the difficulties of raising awareness, spreading the message and involving more people in the projects. A lot of interesting and creative ideas are designed and implemented by the Initiatives and these are communicated externally in creative ways; however, big media still have a major impact on society and disseminate a very different story. Finally, we could say that the third big challenge has to do with internal communication, group relations and collaborative culture. Most of us are not used to living in communities, we do not know how to make decisions collectively or integrate conflicts in a healthy way. Many initiatives disintegrate because of these issues. That is why working on the inner dimension of the Transition process and increasing personal resilience is so important. What is your hope that we can change towards a more resilient and sustainable society? Transition towards a society less dependent on resource consumption is inevitable and changes are going faster than ever. The question is whether, given the lack of time, we, humanity as a whole, will be able to lead this process towards a more resilient and sustainable society, or whether our civilization will collapse and in that case what will that mean. We cannot make any predictions because we are talking about very complex systems, and it is important to be realistic about the gravity of the situation. Having said that, thousands of initiatives and movements working on different issues and at different scales are appearing and evolving very rapidly: transition, degrowth, permaculture, ecovillages, etc. If you just stop for a second and think about your locality, you surely will find many transformative projects going on. So my hope is that, despite the difficulties, this culture that is now growing, and that needs the involvement of everyone, will have enough strength to lead this change process towards a new, fairer, and more sustainable way of living. It is time to go from idea to action! Can we order in USA without huge shipping charges?